0 Comment August 25, 2017 Like? With hundreds of potential video angles available with PTZ Cameras, and the incorporated 3D PTZ Joystick, these new and innovative PTZ Producer Kits offer you every venue as a perfect destination for your next live streaming, thanks to its affordability. The availability of PTZ Producer kits with 12X and 20X optical zoom 3D-SDI Cameras now make your high-quality video production very affordable. Your PTZ Kits are complete live streaming systems built around the Intel NUC Skull Canyon Micro-PC as its heart of the operation. In this post, we will walk you through on the easy setup of your wonderful PTZ Kits. Though the setup is easy and quite simple, we need to understand some of the basic kits in the box. If you open your box you will discover that there are more than 10 kits in the box which can be grouped into two: the main kits and the accessory kits. Before we go into the main focus of this post which is the setup of PTZ Producer Kits, it will be good that we know some little details about the basics kits that will form the bedrock of the setup. These kits are Intel NUC Skull Canyon , PTZOptics Gen-2 12X or 20X Camera, HuddleCamHD RS232 and Magewell 3G-SDI/USB 3.0 Frame Grabber. These two PTZ Optics are 1080p cameras for capturing long shot with high quality resolutions. These cameras are ideal for broadcasting high definition video signals for broadcast, recording or video conferencing applications, thanks to their support for 3G-SDI, HDMI, and IP Streaming. When you are working with large media file, featuring high resolution and vibrant visuals, you need a processor that will process your data at high speed. Intel NUC Skull canyon gives you that capability at a grand speed of 40 Gbps. It is that 6th generation processor (Intel® Core™ i7 processor) that gives you maximum performance, in conjunction with Intel® Iris™ Pro Graphics. For variable control of zoom, use 3-D Joystick (RS-232). It gives you that flexibility to easily pan, tilt and zoom. Magewell enables you to record or stream a 3-D input signal via USB 3.0. It can accept up to 1920 x 1200 resolution at 60p. It is the Frame Grabber that helps you to connect your USB to SDI Cameras. 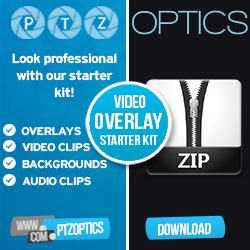 To know more about these kits and other information about PTZ Producer Kits, go to Producer – PTZOptics for more details. At Producer-PTZOptics, you will have access to the Data Sheet, User Manual, Application Diagram, and even where to buy your wonderful PTZ Producer Kits and other ptoducts. Now, let’s move on to the nitty-gritty of the post. Before you start any connection, ensure that power is available because the system cannot function without power. Now that your power is on, follow the step-by-step guide below for the setup of your system. Plug your Intel NUC Skull Canyon, Joystick (RS-232) and SDI Camera to power. Connect the Intel NUC Skull Canyon to your computer via the HDMI Cabling. Plug the Joystick (RS-232) to DB9 Cable. Plug your SDI Camera to the Joystick via the DB9 Cable. Plug the Shure MVi-LTG to the Intel NUC Skull Canyon to connect to the audio source. Then from your computer, import your camera by connecting via the Magewell. Once the connection is up, sign in to Facebook or YouTube and complete the setup for live streaming. Then copy your file and paste the information. That’s it, congratulations! This setup is very easy, and if you are fast enough you can do it in 10 minutes or less. But we advise that you take your time to run the setup very well. Remember, the setup we illustrated above is for single camera. For two cameras, follow the same steps. The only difference is that you need 2 RS-232 cabling to connect the cameras, and also 2 Magewell 3G-SDI/USB 3.0 Frame Grabber to connect the two cameras to Intel NUC Skull Canyon. Check the pictures below to get the clear view of the setup. If are you are still confused somehow, I would suggest that you watch the video on our YouTube Channel. To watch the video, go to PTZ Producer Kits – Opening the Box & Setup. You will enjoy doing so.